Aggressive, progressive, choppy, and dark, said the Blind man. 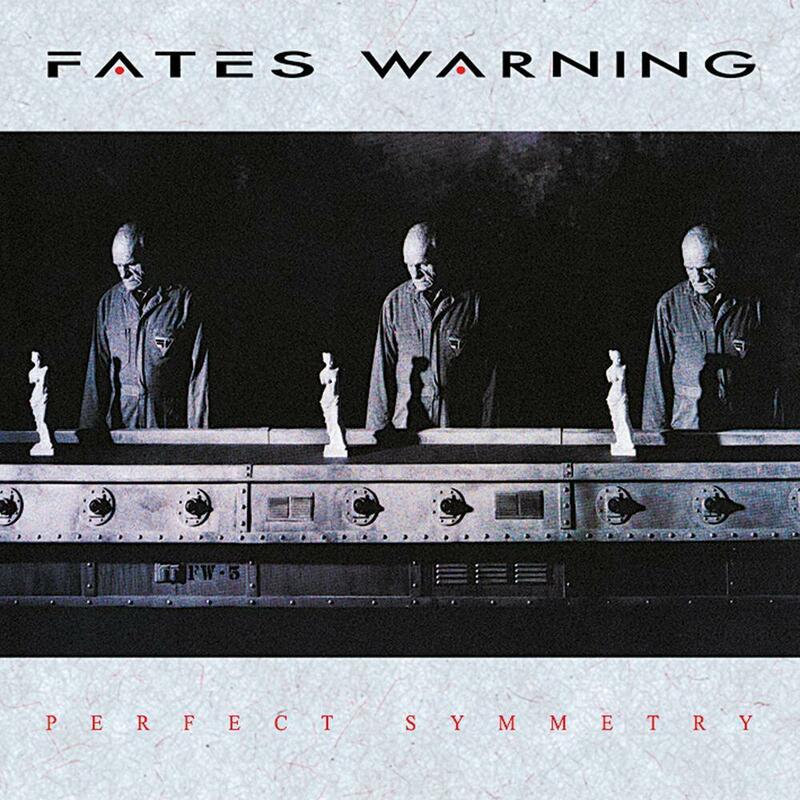 Fates Warning follow their most progressive album "No Exit" with something that goes a step further. The playing is more complex, the vocals are more powerful and aggressive, and the overall sound is stronger and more realized. This is definitely Fates Warning at their creative peak. Part of the Machine is just blistering. There is no other way to describe it for me. And those jaw dropping solo runs and trade off s near the middle, before it explodes in aggression is breathtaking. Through Different Eyes follows up with evocative guitar lines opening us to fantastic sound spaces. This is a softer offering, but it still has rocking presence and thoughtful lyrics. I suppose you could call it the "radio hit", that solo is great. Static Acts has more thick and melodic anger pouring from the music crevasse this album so skillfully creates. That riff segment is very interesting. If anything, though, the album suffers from a few disjointed and weaker musical ideas and melodies. The level of content never drops form the high standard set by the beginning songs, but A World Apart doesn't amaze as much as others before it. The dark plodding electric stomp it culls is enjoyable, however. True, this is a dark album, and it plays to that quite well. Nothing comes even close to offending, and I commend the band for having such grand ideas interspersed throughout. At Fate's Hands goes into a different, but equally progressive direction with the soft and lush vibrancy it portrays. A matter of bleak elegance. Restrained and mature. The Arena is ferocious. Perhaps the hardest and most fast paced track, here. And boy is it shrill and angry. The vocals are astounding, and as usual, the rhythm section is knotty and structured in a good way. A short burst of fire. Chasing Time is another shorter song. It is somewhat haunting. The acoustic accompaniment is tasteful. I see it as an interlude of sorts to the final song, and progressive monster Nothing Left To Say. Exotic riff and lead guitar lines, knotted structure, and complex to a fault. Those staggering guitar fills are delicious. This is certainly the finest track here, and it revisits the dark aggression of Part of the Machine, vigorously, before dropping into multiple style and arrangement shifts. Gloriously harmonic vocals, and ever so intriguing guitar playing. The stomping strut near the end, and the wailing flaunt involved, this is amazing. Perfect Symmetry holds many elements deeply progressive, and maintains a very high level of interest throughout. The playing is firm and strong, the compositions are progressive and complex, the vocals are impassioned and breathtaking, and the lyrics are excellent. The album does suffer form a few too many weak melodic moments, and same sounding segments that get a bit old, but this is still certainly a worthy purchase. Recommended.